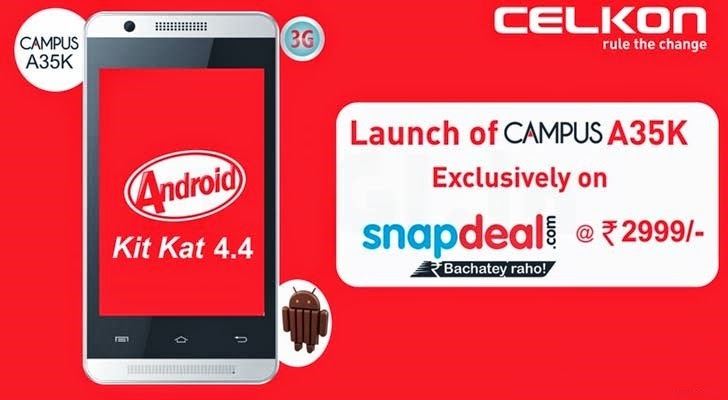 Indian handset maker Celkon has launched its Campus A35K smartphone in the country for Rs 2,999 in an exclusive partnership with online marketplace Snapdeal.com. Touted as the cheapest Android 4.4 (Kitkat)-based smartphone, the handset has dual-sim slot and is powered by a 1GHz processor with 256MB of RAM, it said in a statement. With a 3.5-inch display, the Campus A35K sports a 3.2-megapixel rear camera, 0.3MP front-facing camera and 512MB in-built storage (supporting expandable storage up to 32GB). The device supports Wi-Fi, Bluetooth, microUSB, and A-GPS connectivity options, along with 3G. 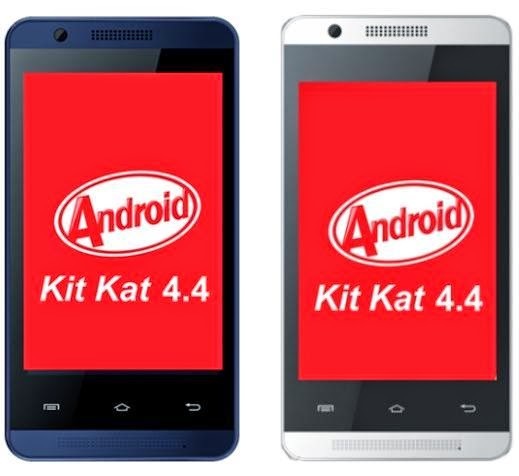 Android 4.4 (Kitkat) is the latest version of Google's mobile operating system. While the market is flooded with devices based on the previous generation of Android OS, handset makers are now focusing on launching devices based on the latest release.